The end of the school year is fast approaching and we will soon be celebrating our first graduating class of 2018. Incoming Freshman: What to expect in the high school environment, summer school possibilities, and CPHS culture. Sophomores: Summer school and upcoming state testing. Juniors: Summer school, Running Start, SeaTech, 5th year plan and state testing. Seniors: State testing, graduation requirements, what to expect your senior year, and summer school possibilities. Graduating Seniors: 5th Year Plan presentations, graduation week schedule, and final preparation for graduation. 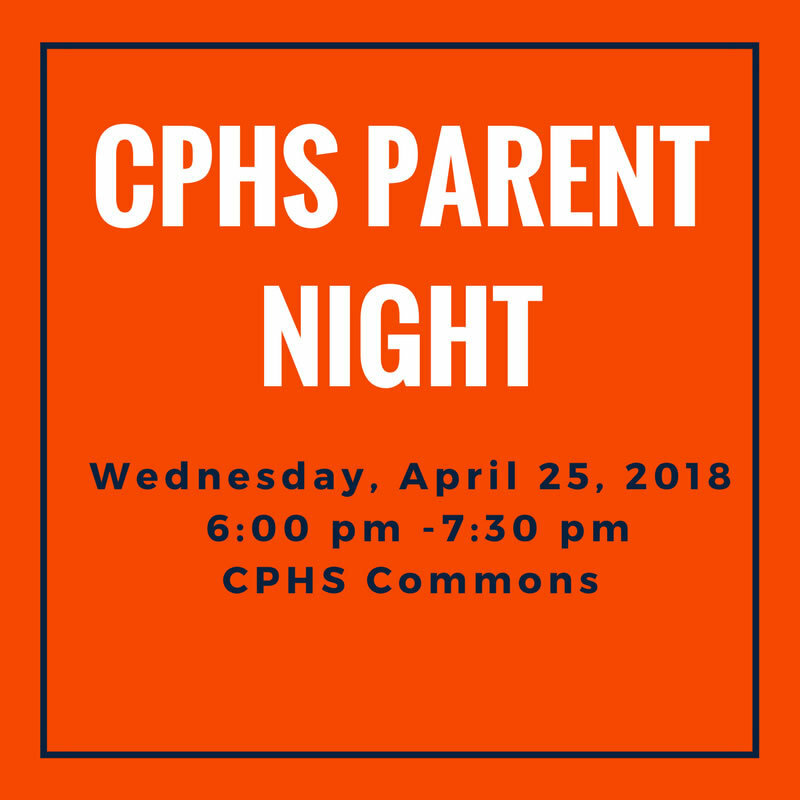 We hope that you will join us on the 25th for this informative meeting. If you have any questions, please feel free to call the office during school hours. 509-522-3312.